A place where life is calmer, where every day is a break from everyday life and where time for once is on your side. Situated in a beautiful coconut grove on the west coast of Lombok Island, Indonesia and with an engaging beach. The Chandi Boutique resort & spa fulfils all your needs for perfect holidays and offers you an exceptional level of comfort and tranquility. 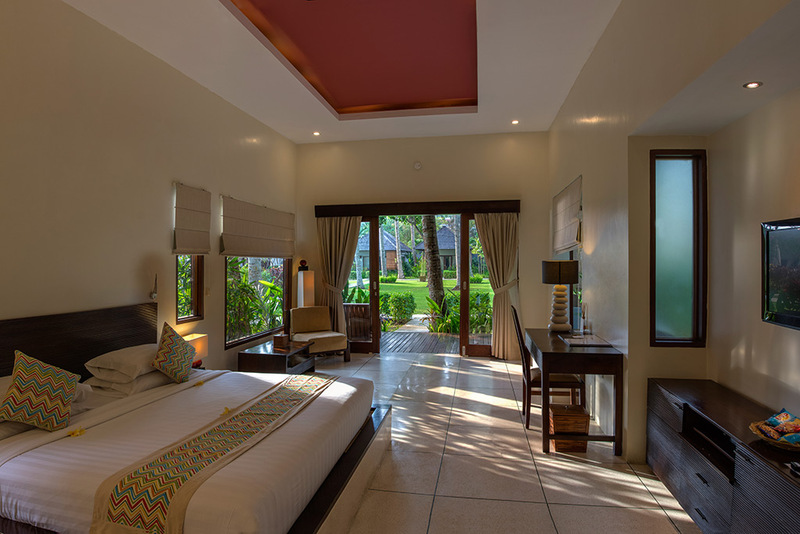 The Chandi Boutique Resort & Spa Offers 17 generous villas: 10 ocean view villas, 5 executive garden view villas and 2 connecting garden view villas. 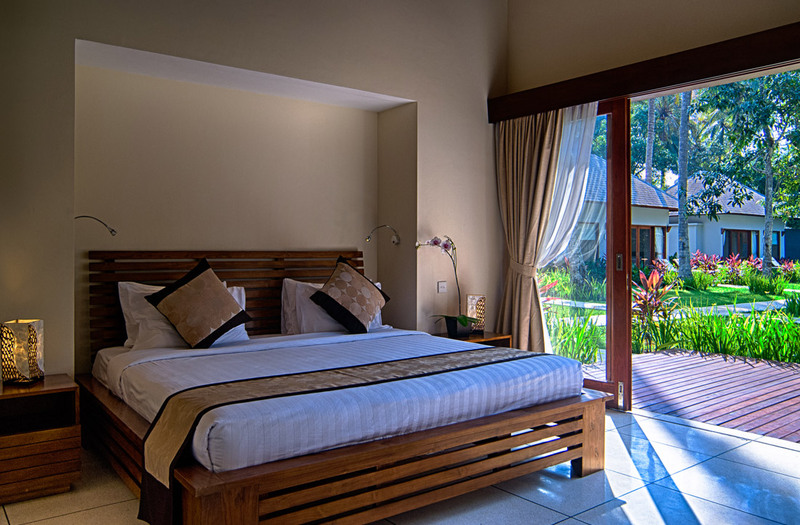 All villas are furnished with exclusive interior in a modern minimalist style and feature an outdoor veranda, king-size bed, spacious bathroom with open garden shower, dressing area, flat screen TV, telephone, free Wi-Fi access, minibar and air-conditioning. Relax on your own outdoor veranda and enjoy the nature around you. The Chandi Beach Bar is a relaxed setting for refreshing cocktails and light meals. Located on Beach Front, The Beach Bar is the place to be lost in the views of an awe-inspiring sunset and rustling coconut palm trees. 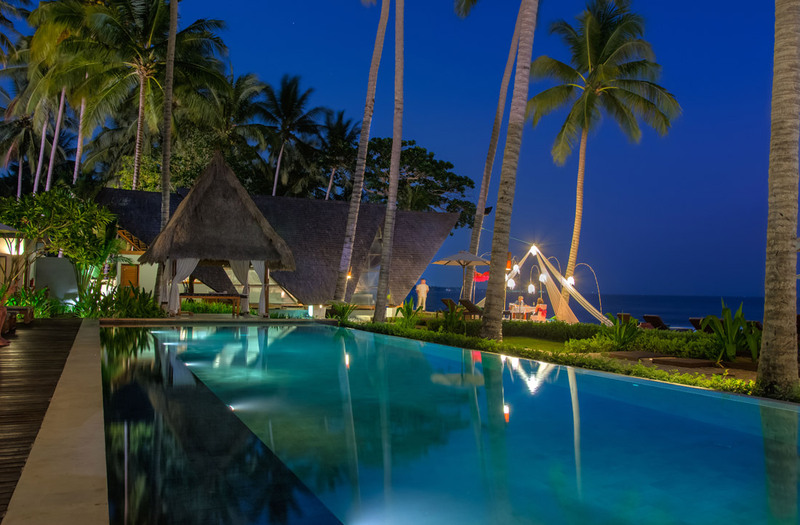 In the night, The Beach Bar makes an ideal chill out spot for drinks and tapas. Unwind while you watch the moon rise over the lagoon, count the stars and close your eyes to the musical sounds of nature. Casual yet elegant, The Meru restaurant is caressed by sea breezes and looks out over the glittering waters of the Lombok Strait, where the master chef explore the secrets of exotic Asian and International cuisine. From the traditional to the imaginative, from the hedonistic to the healthy, savour the very best of Southeast Asian cooking and feast like a king.Fine dining, unique service and exclusive ambience, this is The Meru restaurant located at The Chandi Boutique Resort. 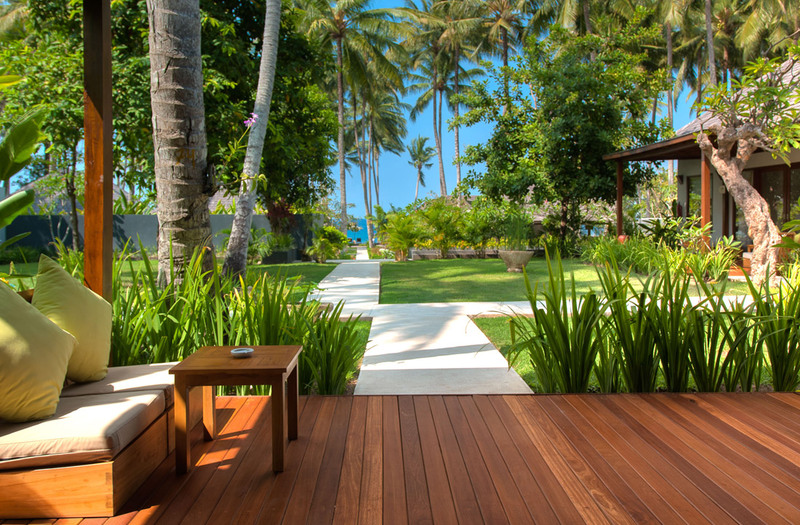 Ocean View Villas face the Lombok strait and a sandy beach lined with tropical garden and coconut trees. Enjoy the beach actions from your own balcony and watch the sun set over the horizon and Bali’s Agung Volcano. Executive Garden Villas are a tranquil retreat from the outside world. Enjoy the tropical flower garden and the shadow of coconut trees. Garden View Villas Under the shadow of coconut trees, Garden view connecting villas are the best mix between calm, nature and group or family holidays.